How much is Harris Yulin Worth? 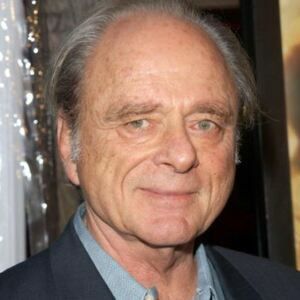 Harris Yulin net worth: Harris Yulin is an American actor who has a net worth of $3 million. Harris Yulin was born in Los Angeles, California in November 1937. He has more than 130 acting credits to his name and has hard recurring roles in multiple TV series including How the West Was Won as Deek Peasley in 1978, WIOU as Neal Frazier from 1990 to 1991, Buffy the Vampire Slayer as Quentin Travers from 1999 to 2002, Mister Sterling as Chairman Wilson in 2003, 24 as Roger Stanton from 2002 to 2003, Nikita as Admiral Bruce Winnick from 2011 to 2012, Veep as James Whitman in 2016, Unbreakable Kimmy Schmidt from 2016 to 2017, and Ozark as Buddy Dieker in 2017. Yulin has starred in several films including Scarface, Ghostbusters II, Clear and Present Danger, Looking for Richard, The Hurricane, and Training Day. In 1996 he was nominated for a Primetime Emmy Award for Outstanding Guest Actor in a Comedy Series for Frasier.